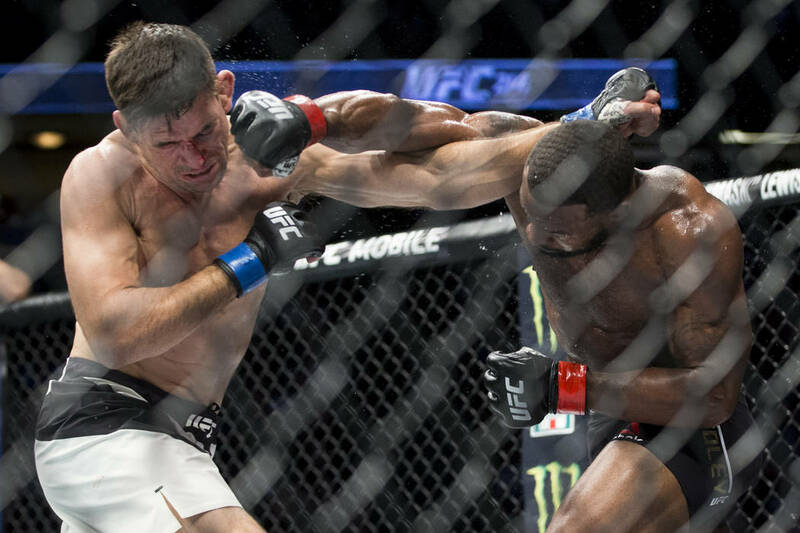 Welterweight champion Tyron Woodley believes he drew a much tougher opponent when Darren Till accepted a title bout for UFC 228 on Sept. 8 in Dallas instead of interim champ Colby Covington. 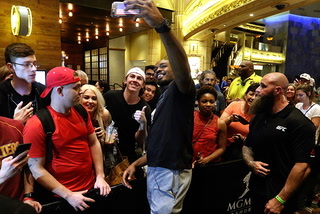 That’s just fine with Woodley. 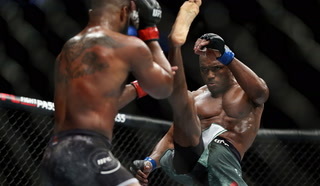 “Sometimes it takes that young fighter that reminds you of yourself to light that fire again,” he said backstage at UFC 227 in Los Angeles on Saturday night. 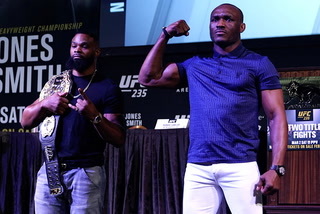 Till emerged confident from their first official staredown at a news conference unveiling the UFC’s remaining 2018 schedule on Friday in Los Angeles, telling a group of reporters he sensed doubt in Woodley’s eyes. Woodley scoffed at the observation. 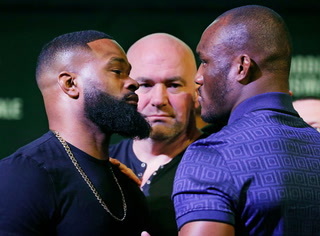 Woodley wouldn’t say the same about Covington, who turned down the fight due to a nasal procedure. 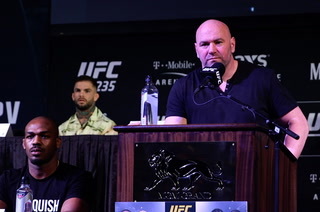 UFC president Dana White believes Conor McGregor’s return to action at UFC 229 on Oct. 6 at T-Mobile Arena will be one of the biggest fights in UFC history. 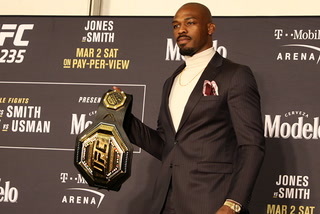 It won’t have the benefit of a global promotional tour to draw even more attention, however, after the fight didn’t officially come together until two months before the scheduled date. 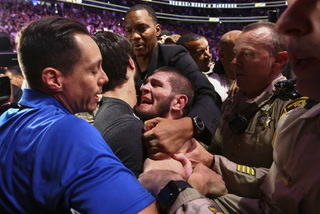 White insisted there’s no added concern about bitter rivals McGregor and Nurmagomedov being around each other even though Nurmagomedov was the target of McGregor’s attack on a bus for which he was arrested and prosecuted. “We’re pretty confident that we can control what happens,” White said. “What happened in New York, obviously if you look at what happened, everyone was loading onto the buses, everything was done, and our staff still handled it pretty damn well for what was going down. 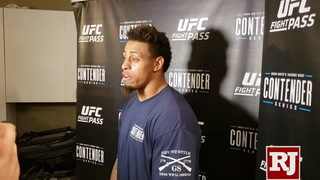 Former NFL defensive lineman Greg Hardy will return to Dana White’s Tuesday Night Contender Series in Las Vegas. Hardy made his pro debut on the show in June, knocking out Austen Lane in just 57 seconds. 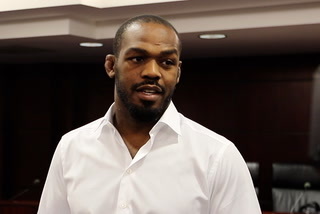 White offered him a developmental deal in which Hardy will work with UFC officials to guide a career path into the organization. 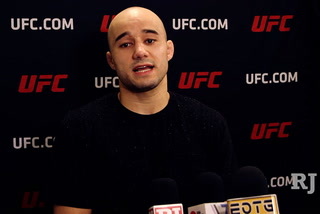 That includes a rare second appearance on the Fight Pass show. 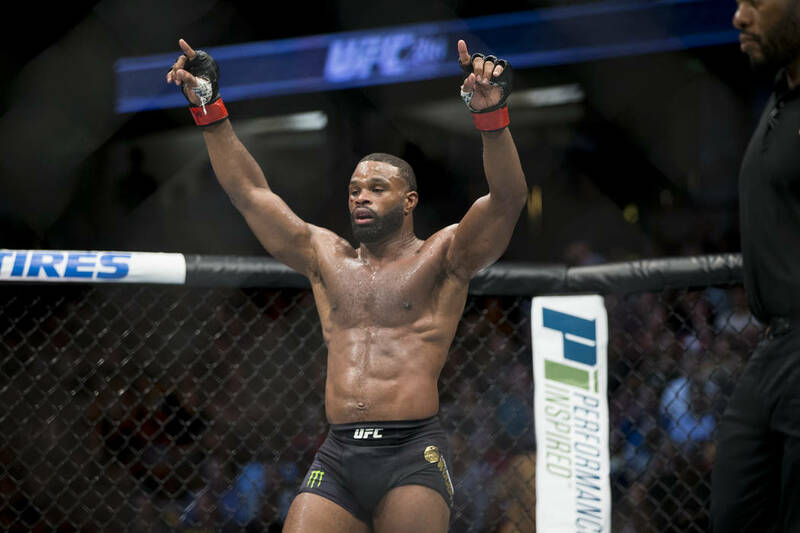 He will take on undefeated prospect Tebaris Gordon on the card, which streams live at 5 p.m. from “The Ultimate Fighter” gym. ■ Aug. 17: Bellator 204 (Paramount), Sioux Falls, S.D. 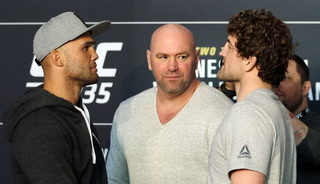 ■ Aug. 25: UFC Fight Night 135 (FS1), Lincoln, Neb.